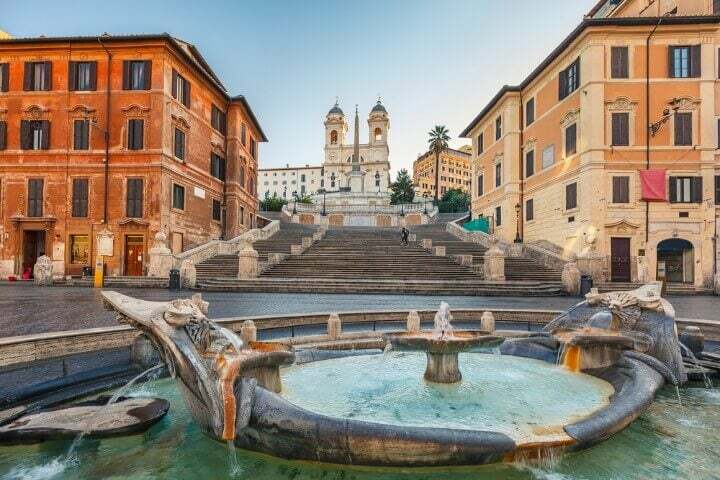 Epitomised by its still-standing stunning world-class architecture, equalled with some of the finest renaissance art on the planet and arguably the world’s best cuisine, it’s a no brainer that Rome is one of Europe’s most visited destinations. The echoes and remnants of the former Roman Empire are still sprawled across this city, including the famous Colosseum, that is today one of the Seven World Wonders; Rome is evidently steeped in history. The Colosseum needs no introduction. 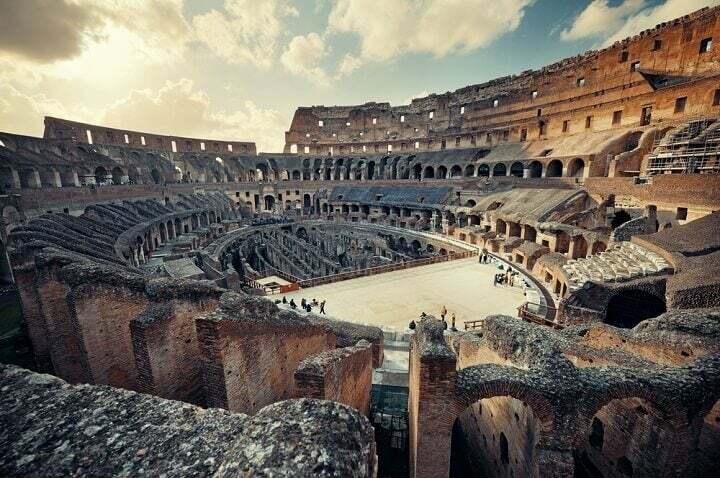 A giant amphitheatre used during the Roman Empire for gladiatorial and wild animal fights, this mega structure is the postcard picture not only for Rome and Italy, but for the whole of Europe too. When you walk around its perimeter all you can do is admire and be in awe, whilst inside gives you a glimpse of its architectural brilliance. 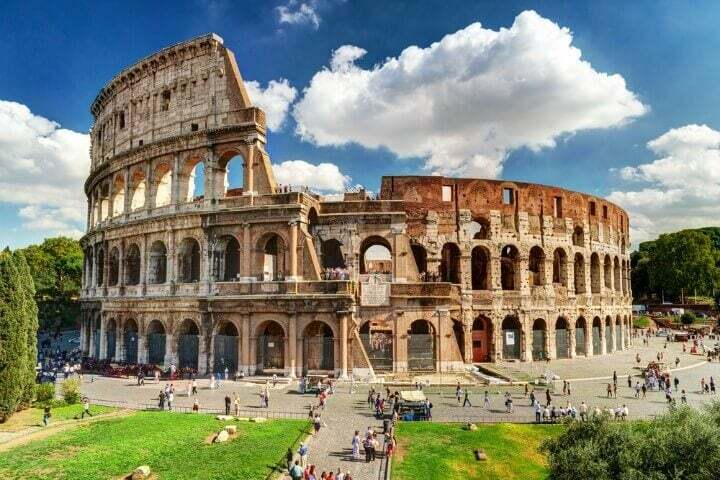 One of the Seven Wonders of the World, the Colosseum is a must visit when you visit Rome. 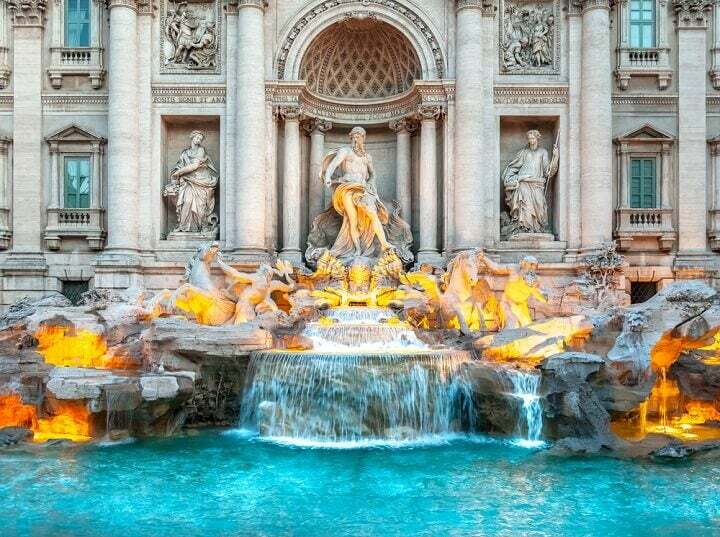 Trevi Fountain is the most famous fountain in Europe an incredible popular attraction in Rome. With a Roman Baroque design of sculptures of mythical figures and wild horses that centre the fountain make it a truly wonderful in design. 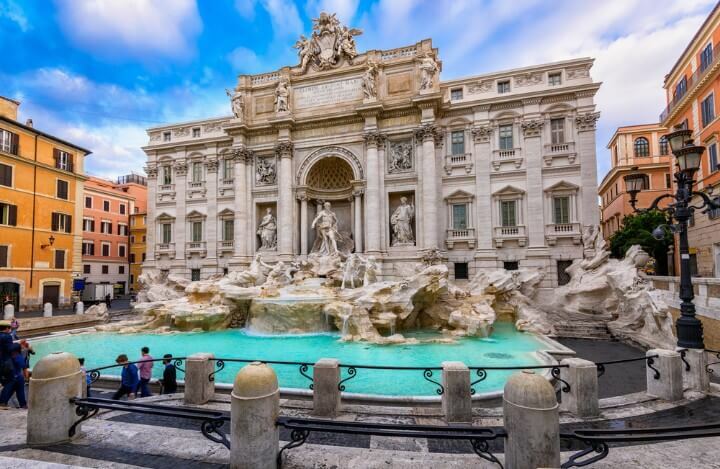 Almost impeccable in it’s appearance without a scuff or a scrape, visiting the Trevi Fountain can actually be seen as giving back. 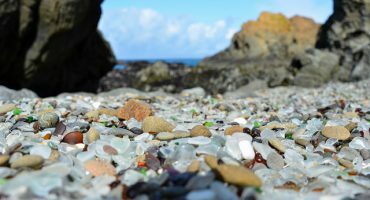 With many visitors throwing coins into its clear waters, it’s said that all the coins are donated to charity. Endorsed by Michelangelo himself who claimed it was work by angels not humans, the Pantheon is a towering 2,000-year-old Roman temple. 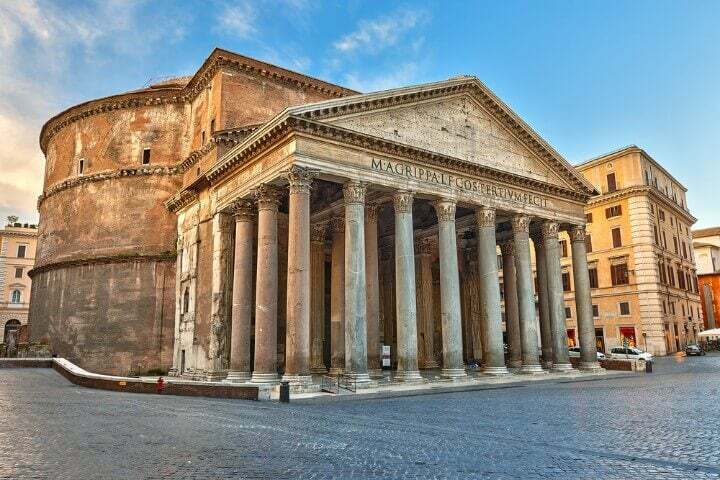 A work of art that has stood for so long, the name the Pantheon derives from Greek, meaning ‘temple for all gods’. 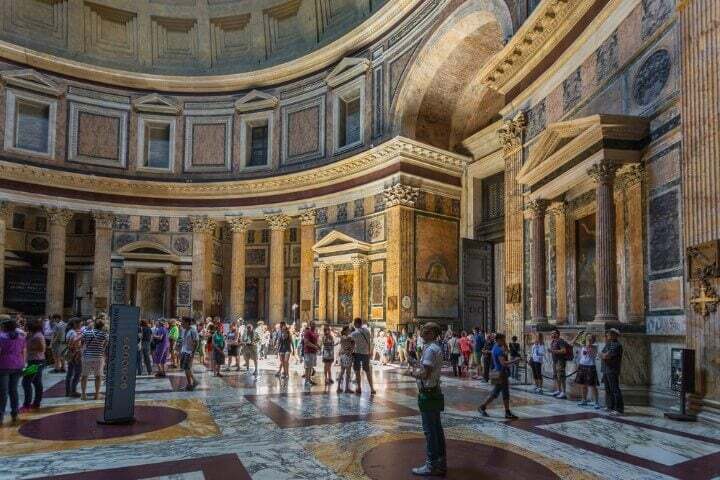 It is arguably the best-preserved historical building in the whole of Rome and was used by Emperors to make public appearances to remind the city of the power and wealth they could muster. 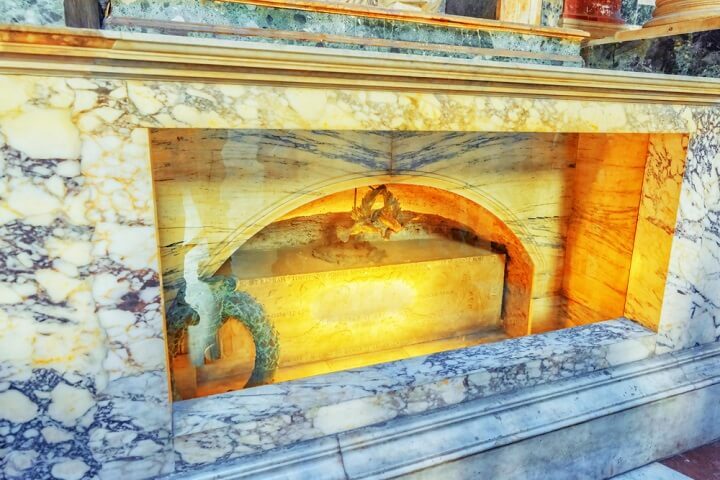 The tomb of Raphael – one of Italy’s most famous architects – lies within the Pantheon. ✈️ + 🏨 Search for flight + hotel in Rome! Located on the smallest of the Seven Hills of Rome, the Capitol you see today was designed by Michelangelo. Within Piazza del Campidoglio, today, it is the seat of the municipality of Rome with the Senatorial Palace beside it. 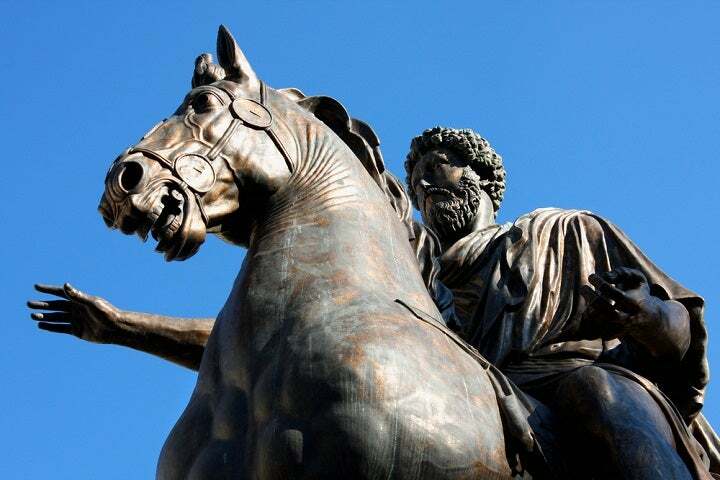 There is a bronze statue of Marcus Aurelius’ in the centre too. 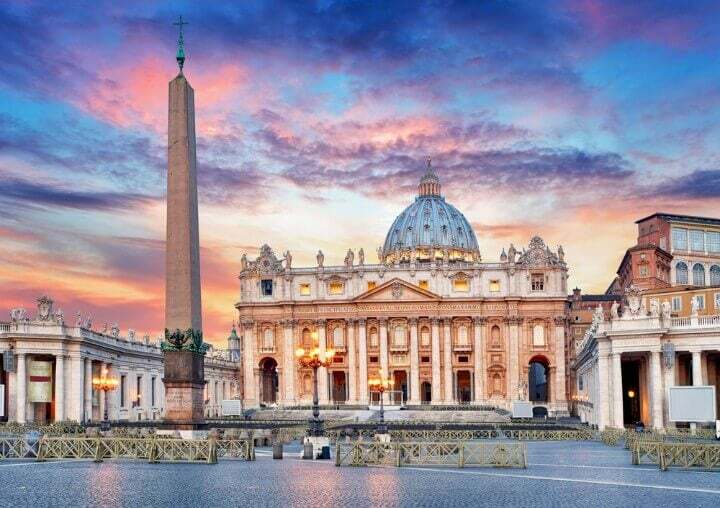 The largest church in the world and the most acclaimed build of Renaissance architecture, St Peter’s Basilica is Vatican City. It is said Saint Peter – one of the leaders of Jesus’s twelve apostles – is buried here that provides a large religious and cult significance to Catholics. In addition, The Pope often attracts hundreds of thousands of worshippers and visitors here every year. 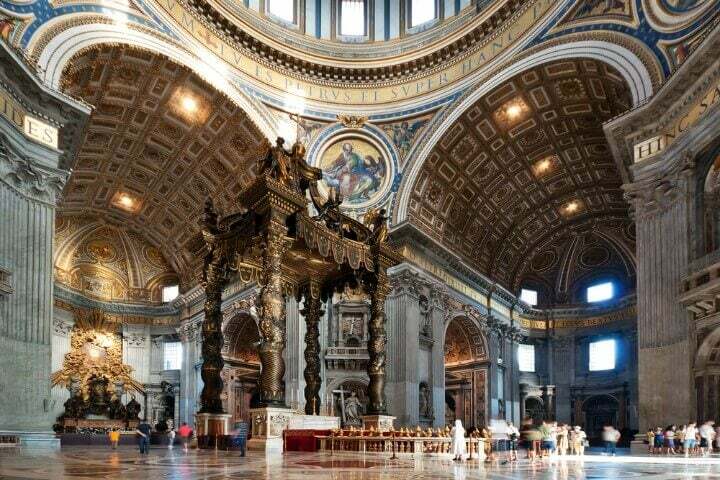 Upon entering Vatican City, you won’t have to look twice to marvel in the wonders of the Basilica. 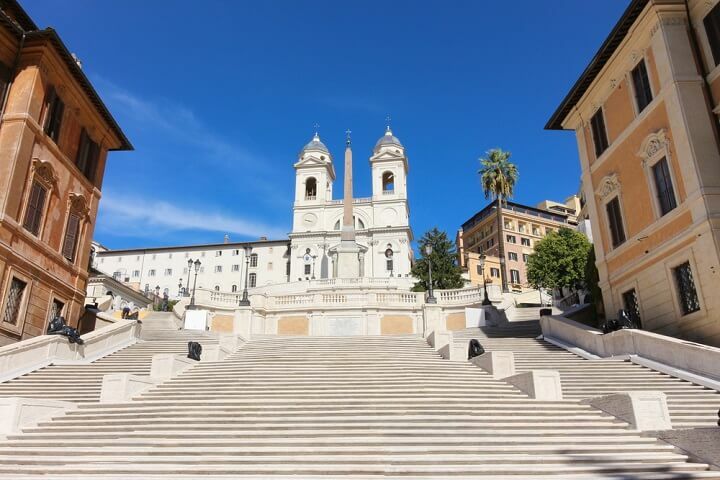 The 130-odd steps that link the Piazza di Spagna and the Triniti de Monti church are the widest in Europe. Commissioned by a Frenchman in the 17th century, today it a popular place to hang out. 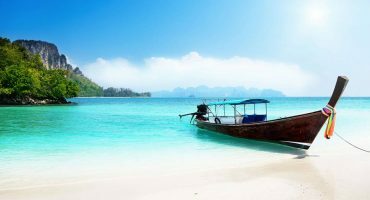 Beautifully and intricately designed with a series of curves, vistas and terraces the whole area is a delight to embrace. ✈️ Fly me to Rome! 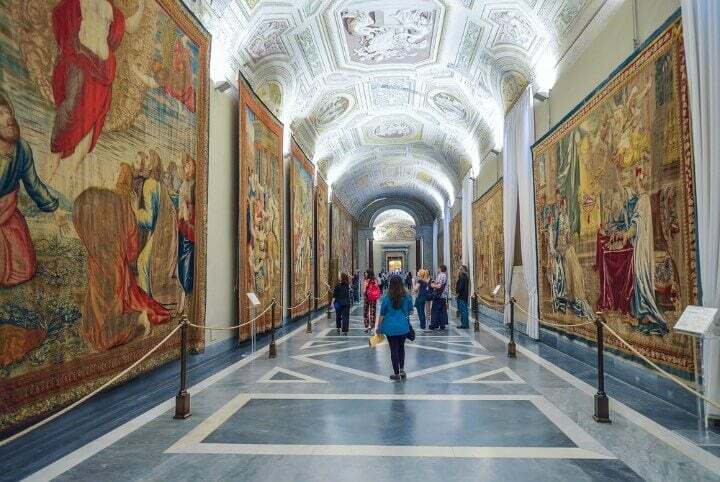 Home to some of the world’s iconic masterpieces of art, the Vatican Museums located in Vatican City – officially the smallest country in the world – are just another sparkling set of jewels in the crown of Rome. 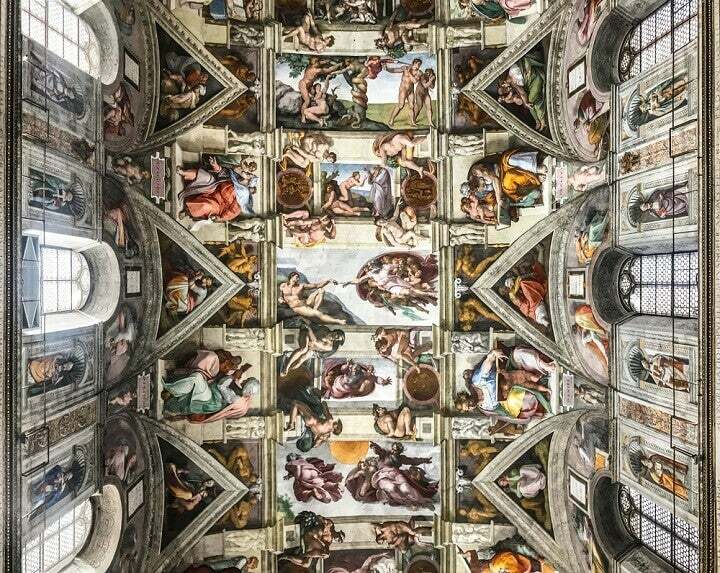 Works by Leonardo Da Vinci are housed here along with the Sistine Chapel that is undoubtedly is the star attraction. Even though this is a very recent construction comparatively, the Alta della Patria is a truly remarkable structure. 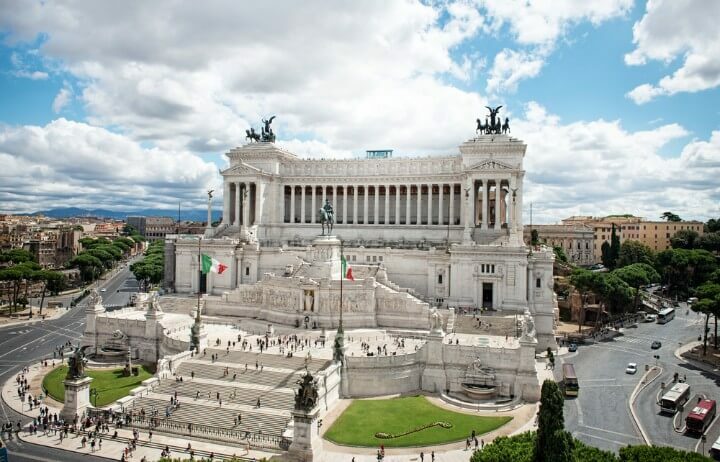 Victor Emmanuel was the first king of unified Italy and this building is dedicated to him. 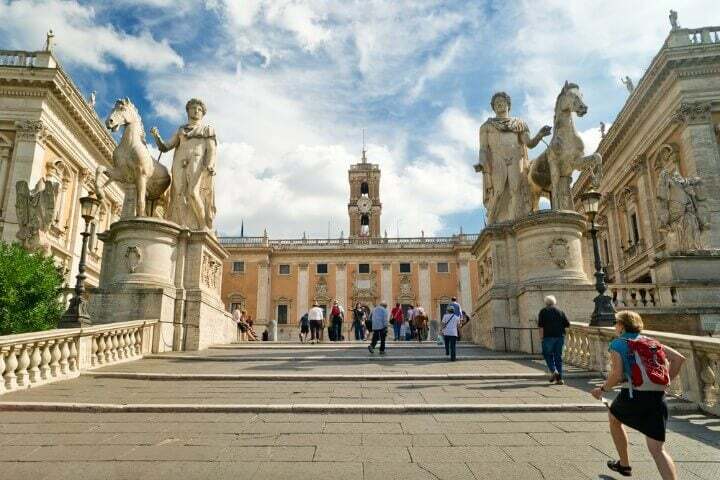 It’s located within Piazza Venezia, it’s not the most famous of attractions; it’s certainly one of the most impressive. 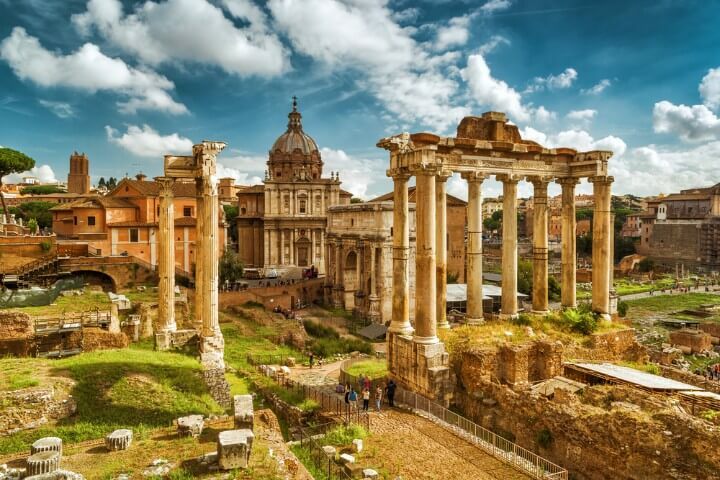 A sprawling set of ruins gives you a slight look back into what was the most important centre point of Rome as far events and politics were concerned. Despite there being many better-known landmarks in the Eternal City, it is here you’ll get a sense of more everyday life that once was. Celebrations, trials and tribulations all took place here. 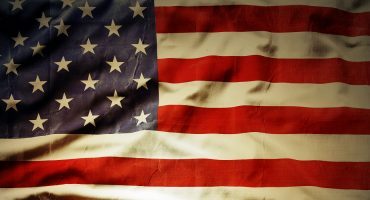 Today, it gives you the layout of this imperative assembly once was, attracting millions of visitors per year. 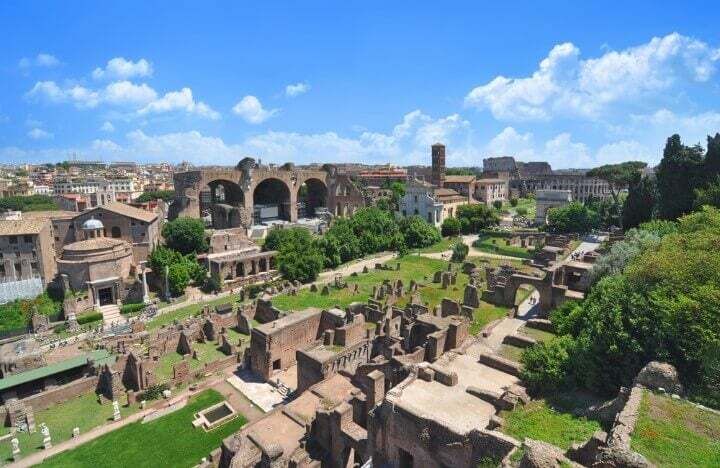 If you make you’re way up to Palatine Hill, you’ll be able to get the full scope of the forum. The view is perfect for a panoramic shot. 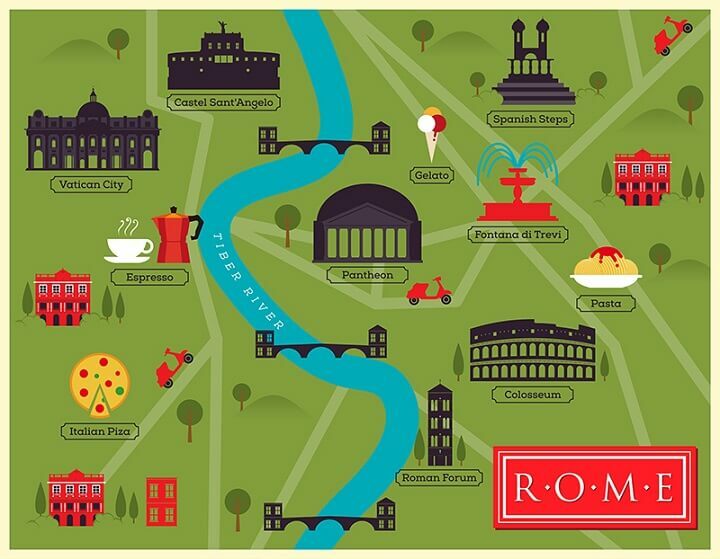 Rome is full of life and the food for one is some of the best in the world! Gorge on pizza, pasta, coffee and ice-cream; and don’t worry, it’s normal to put a bit of weight on. 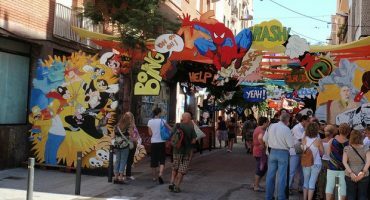 Trastevere and Testaccio are intriguing neighbourhoods to eat and drink.